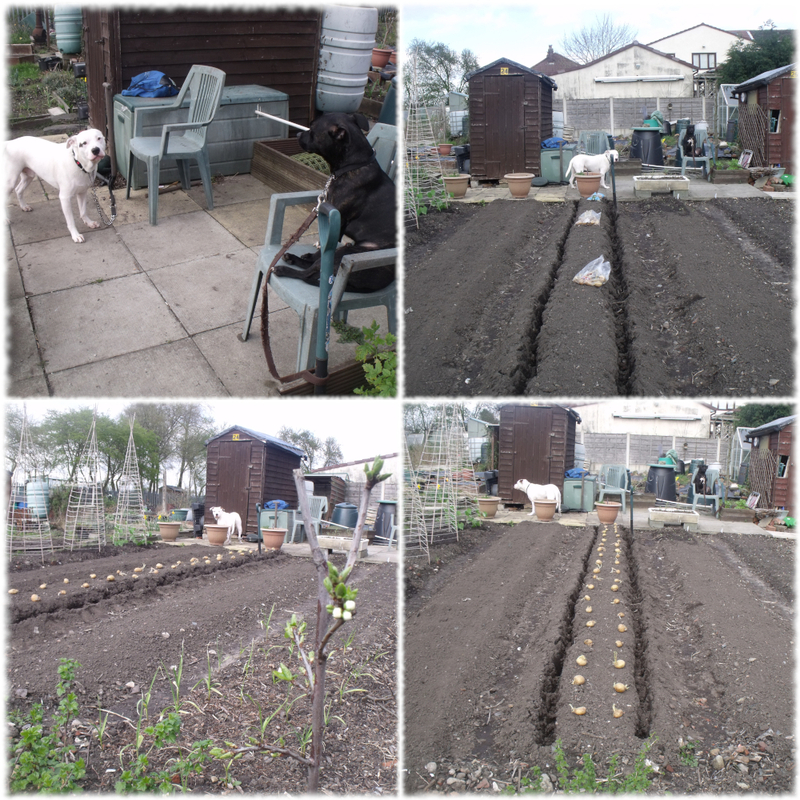 Spuds R Us down on the plot with the boys. A given that our project manager’s be chillin’, whilst we do whatever on a dull day in Salford. Sorta seemed like a plan in me head to use those forgotten / unused potatoes that’d been chittin’ away in a random kitchen cupboard.